The influence and popularity of Rilke’s poetry in America have never been greater than they are today, more than fifty years after his death. Rilke is unquestionably the most significant and compelling poet of romantic transformation, of spiritual quest, that the twentieth century has known. His poems of ecstatic identification with the world exert a seemingly endless fascination for contemporary readers. In Stephen Mitchell’s versions, many readers feel that they have discovered an English rendering that captures the lyric intensity, fluency, and reach of Rilke’s poetry more accurately and convincingly than has ever been done before. Mr. Mitchell is impeccable in his adherence to Rilke’s text, to his formal music, and to the complexity of his thought; at the same time, his work has authority and power as poetry in its own right. Few translators of any poet have arrived at the delicate balance of fidelity and originality that Mr. Mitchell has brought off with seeming effortlessness. Perhaps the most beautiful group of poetic translations [the twentieth] century has produced. 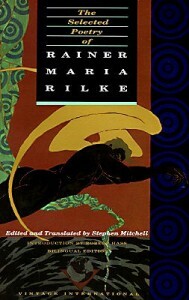 Rilke almost always converts the energies of thought into telling images. In accomplishing this most impressive “imaging” in English, Stephen Mitchell proves his mastery of the art of translation…. 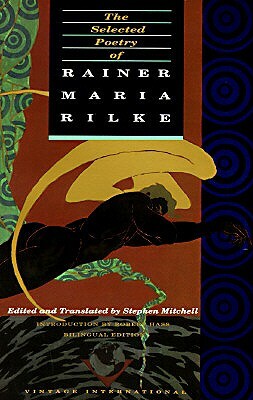 This is, without any doubt, the best English rendering of Rilke. It is as faithful to the original as the translation of poetry can hope to be, faithful not only to its linguistic meaning but to its poetic expressiveness. Stephen Mitchell’s translations bring the qualities that I most cherish in the originals into English with new intimacy and authority. Rilke’s voice, with its extraordinary combination of formality, power, speed and lightness, can be heard in Mr. Mitchell’s versions more clearly than in any others. His work is masterly. Stephen Mitchell treats English with courtesy, is forceful without forcing any issue and gains his ends by propriety of persuasion…. It is easy to feel that if Rilke had written in English, he would have written in this English.